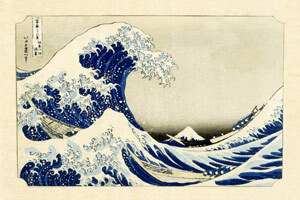 Hokusai (1760〜1849) is one of the most renowned Ukiyo-e painter of the Edo period in Japan. 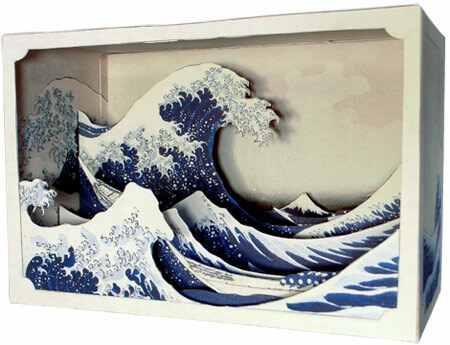 The world famous “The Great Wave” is a piece of artwork from “36 Scenes of Mt.Fuji”. 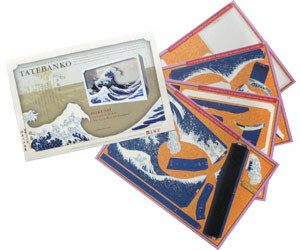 Hokusai himself did “Tatebanko paper sculpture”in those days and we are celebrating this well-known masterpiece with our owninterpretation. Hokusai Tatebanko remix !